Cindy Saufley Barnett has been a Realtor for over 30 years and specializes in Extraordinary Properties including historical homes, farms, estates and breathtaking waterfront properties. She has an Associate Broker’s license to sell real estate, in addition to a sales associate license, and is a Graduate of the Institute of Real Estate (GRI). She is a member of the Richmond Association of Realtors, the combined Central Virginia, Williamsburg and Chesapeake Bay MLS, the Virginia Association of Realtors and the National Association of Realtors. She is the designated agent for Christies International Real Estate for larger properties in Virginia. Her listings and sales include spectacular properties across the state of Virginia such as Evelynton, Hollyfield, Upper Weyanoke, Panorama, Seven Springs, and many other unique and extraordinary properties. 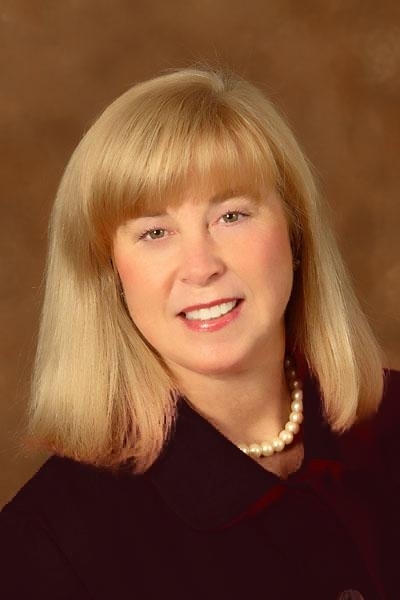 Cindy has been a consistent top producer and is a top agent for the Central Virginia and Chesapeake Bay and Rivers Long and Foster team of over 800 agents, and she has ranked in the top one % of real estate professionals in North America. She has worked on the Corporate staff of Bowers, Nelms and Fonville as the Director of Development and successfully merged the company with Long and Foster in 1998. Together with Long and Foster and Christies she has a wide and deep array of resources to benefit clients which include buyers from around the world including Singapore, Brussels, Hawaii, the Dominican Republic and almost every state in the United States. She believes in the German work ethic and touts that she is Double German. She graduated from Longwood University with a B.S. in Art Education and Virginia Commonwealth University with a masters degree. Cindy has taught at St. Catherine's School, Virginia Commonwealth University and at Virginia Tech. She grew up in the Shenandoah Valley on the family farm and was in 4H as a child and went on to be the Executive Director of the Virginia 4H Foundation. She is married to a commercial, farm and land Realtor, Bill Barnett with Commonwealth Commercial, who enjoys fishing and hunting. With larger properties, she often teams up with Bill, so two companies for the price of one! Cindy and Bill own homes in Richmond City as well as on the East River in Mathews County and previously lived on the River Road Corridor in Henrico County where she was President of the Glenbrooke Hills Association. When not working in real estate, Cindy enjoys community service involvement and oil/acrylic painting. Cindy also believes in giving back to the community and supports the Richmond and Mathews Community Foundation, the Mathews Main Street project, the Bay School Arts program, the American Heart Association, the United Way and YMCA programs. PRIVATE 10+/- acres, beach, killer views, easy landscaping, irrigation, protected site by rip rap, and four decks create the perfect haven. EXTRAORDINARY home with 4+ bedrooms, 4.5 baths, 4+ garages with guest home over garages with inside passage. Sizzle abounds with elevated views from the open floor plan of kitchen, dining and living/family room with master suite adjoining. Indoor swimming pool. 30 KW generator, hurricane reinforced roofing and shutters, Flood insurance is $500 per year, HOA dues for road maintenance and water. This would make a GREAT rental on VRBO. Tons of storage areas, and decking to beach. This is the PERFECT retreat for large family who enjoys the beach. Wildlife abounds. Easy boat ride to large marina to dock THE BOAT. 10 mins to quaint village of Mathews for dining at wonderful restaurants with micro brewery in works!! Escape to the 1960's!